When working with young students, typing can be quite a difficult thing for them to do. In Book Creator, you can easily make a voice recording of the child telling the story but often having the written text there can make that story even more powerful. 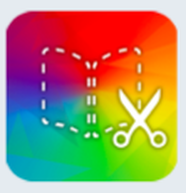 Just recently, I was training some assistant teachers on how to use Book Creator. 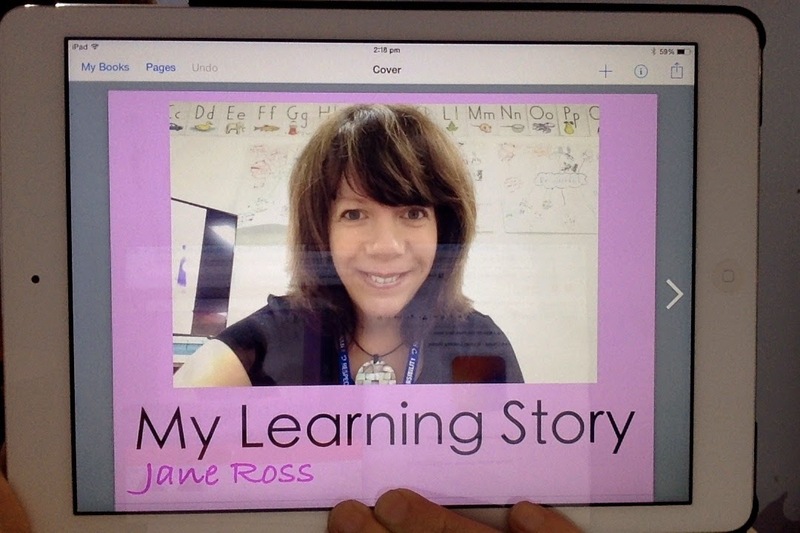 I run a lot of workshops, and Book Creator is one of my most used apps on my iPad. I love it when I learn something new. So I just had to share this with you. During the workshop, I was doing my usual explanation of how to create a book, add a photo and then add some text. The participants were asking about the predictive text feature that is now available at the top of the keyboard. I explained that this can be very helpful for students as it can support their spelling. I also explained about the globe icon and how that can change the keyboard when you enable different keyboards in your settings. This allows users to type in other languages that require special characters like Chinese or Arabic. Next I told the participants about the microphone icon and how that is used for dictation. You tap on it and speak, and the iPad will type whatever you say. I showed it in the moment and was very impressed with how accurate it was. If you say 'full stop' it will also type a full stop. If you say 'new paragraph' it will also skip a line. This is a wonderful way to help students understand about the function of punctuation. Honestly, even I was blown away! So I am now thinking of how this tool can be used with Kindergarten students. Our young students can now type their own stories. Amazing. Our students in Grade 1 and 2 can dictate their stories with words such as 'full stop' which will help them to make that important connection to the function of punctuation. I am so excited about this and can't wait to see how it can be used. I made a short tutorial video for you to watch with the help of my son who was very excited to dictate his first book. For some time now I have been working with children in authoring and publishing books. I am myself an artist so I have a lot of theory running around in my head in regards to design. 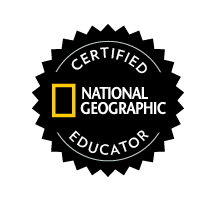 I wanted to use this blog post to communicate a few techniques that I use when documenting learning. 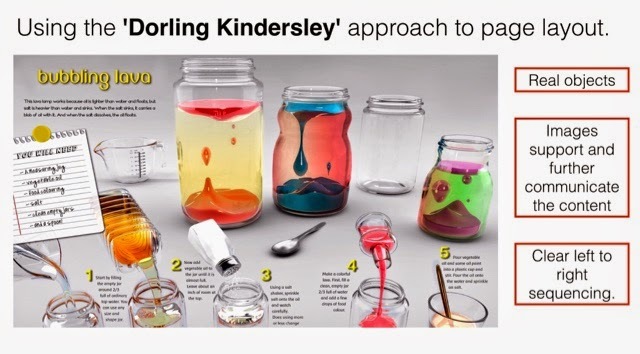 I am really inspired by books created by Dorling Kindersley. These books have a clear 'artefact' approach in their layout. The books are full of photos of real objects that really allow the reader to make strong connections to the content. Here is an example page layout from a Dorling Kindersley book. Taking inspiration from this approach, I have tried to apply it to how a student may document their learning. 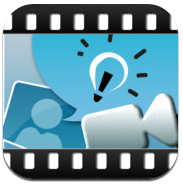 By using an iPad, with the built in camera, students can easily capture the real objects that they are using in their learning and place them on the page along with written descriptions. 1. The page is read from left to right and top to bottom. Therefore to help the reader, we should follow that pattern. 2. Contrast helps us to access the content. Light on dark and dark on light. Make sure that your text colour and background have sufficient contrast so that the words can be easily read. 3. Use open and easy to read fonts. Curly, handwritten fonts can be harder to read which means that our audience/readers can't access the content. 4. Make sure that there is space around the words. The readers need space so that they can easily distinguish the text from the pictures. 5. 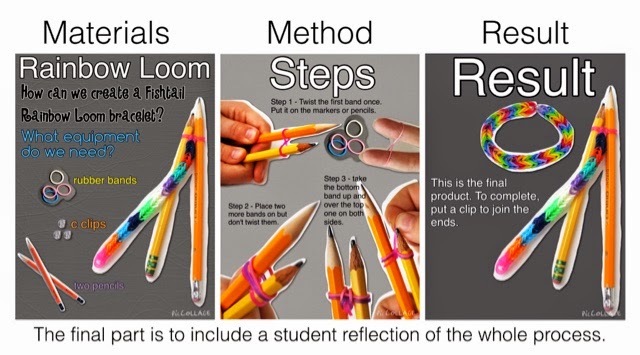 Include the real objects and the method. Ask the students to teach the lesson or skills learned back to the teacher. This will help them to be able to think about their content. For this example, I used the Pic Collage app. After all parts have been completed ask your students to add a reflection so that they can think about what they could do better or do differently next time. We have started making these. The students all created their own covers and first section which was titled 'About Me'. 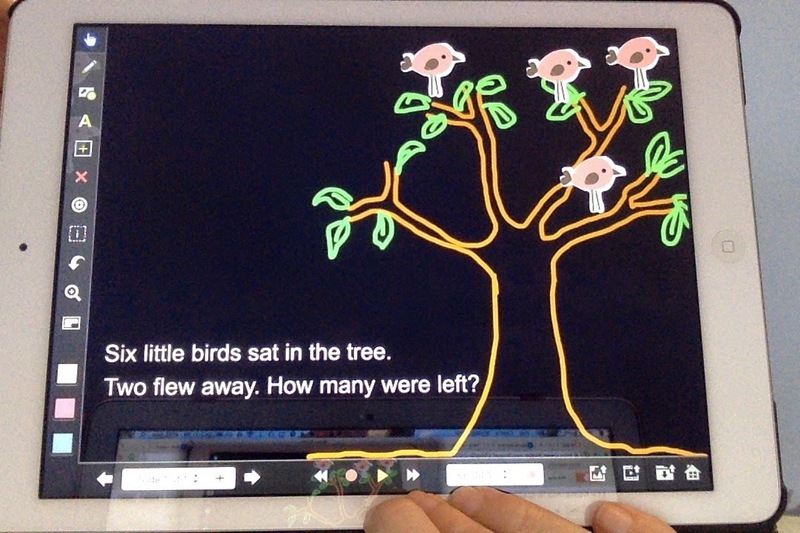 The students learned to create talking, animated Math stories. This was a follow up to their learning in class. It was a very exciting session. The students used the hands-free headphones and mics to record their voice. 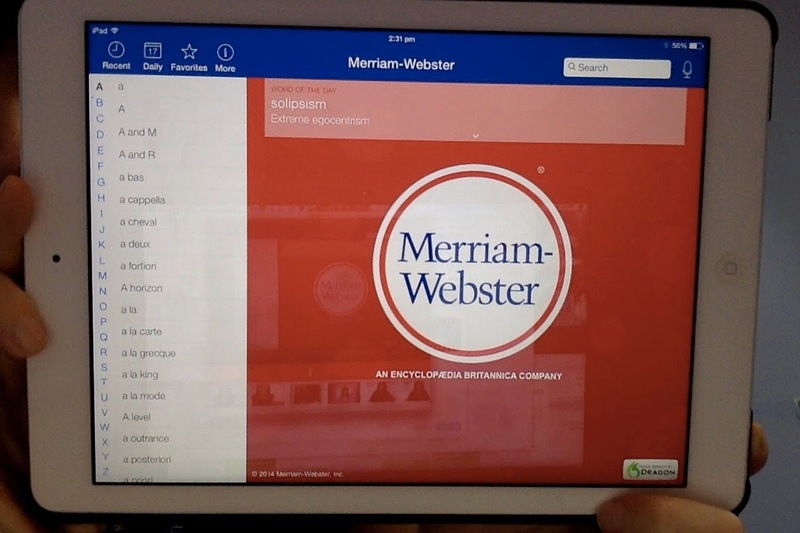 It allows the student to search for words by speaking. It gives you examples of how the word can be used in a sentence. 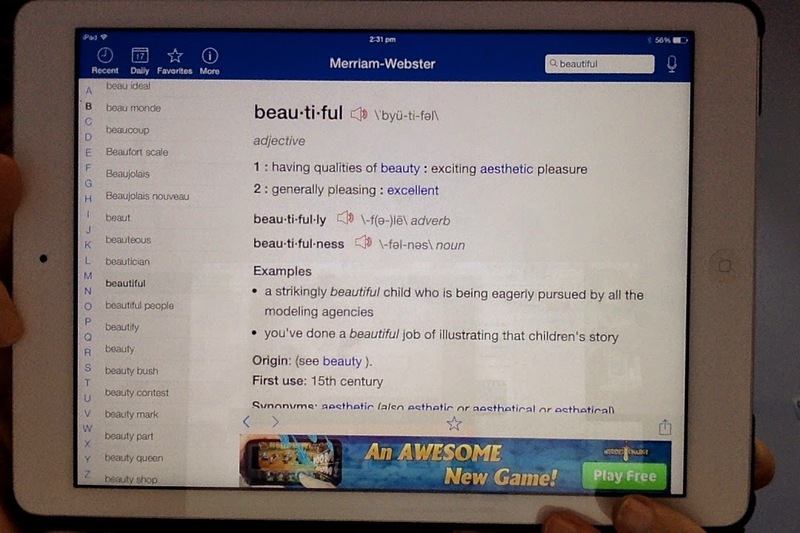 It also gives you synonyms and antonyms. What does learning with iPads look like? In a typical Math classroom you will see lots of manipulatives. This is so learners can make connections when handling objects. In an iPad classroom this practice can easily continue. With an iPad, the learner can document that hands on learning in such a dynamic way that can further personalize their learning. When teachers ask me 'What does iPad learning look like? ', I tell them that it mirrors what happens in the room. 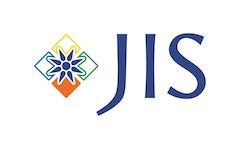 Just today, I have been asked to go to a Grade 2 classroom to help consolidate the learning. Learning with iPads in the classroom doesn't change the way we learn as much as it personalizes it. 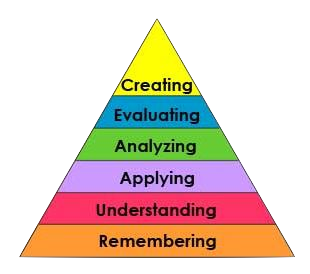 Using technology allows the learner to capture what they are understanding as they move up through the different levels of Blooms. You could argue that iPads can follow the entire learning pathway, but I personally prefer students to have some degree of front loading first that is 'low tech' and less distracting. That analog experience is so important for a young learner. The current learning in the room is Math stories and learning about how to write a Math equation as short story. Here is an example from a Grade 2 classroom that was created today by a student. The lesson prior to this was all about writing the Math story and drawing a picture. The students had essentially got to the creating level as they had indeed already done some creating on paper with drawings and writing sentences about subtraction. With young learners, it is a good idea to go over the learning pathway multiple times. Now with an iPad and using the app Explain Everything, the students were able to take it even further by making an animated Math story to further consolidate their learning. I was very happy to see this example. This is the 3rd day that I have been working intensively with this grade level to get them settled into learning with the iPads. This for me is the first spark. If I can quickly get this kind of documenting happening across the whole grade level then I have met my first goal. In the next lesson I plan to help all the other students who didn't yet get the opportunity to create their personal Math stories. What a fun and interesting way for students to consolidate their understanding about subtraction. In the meantime I can spread the enthusiasm with the other members of staff. The teachers are very active in the room every step of the way. iPads are new for them and it's exciting to see just how quickly we can get things to happen. Once all the students have created a digital Math story, they will place these animations in the student's learning story journal. The student will write a small reflection about the process. 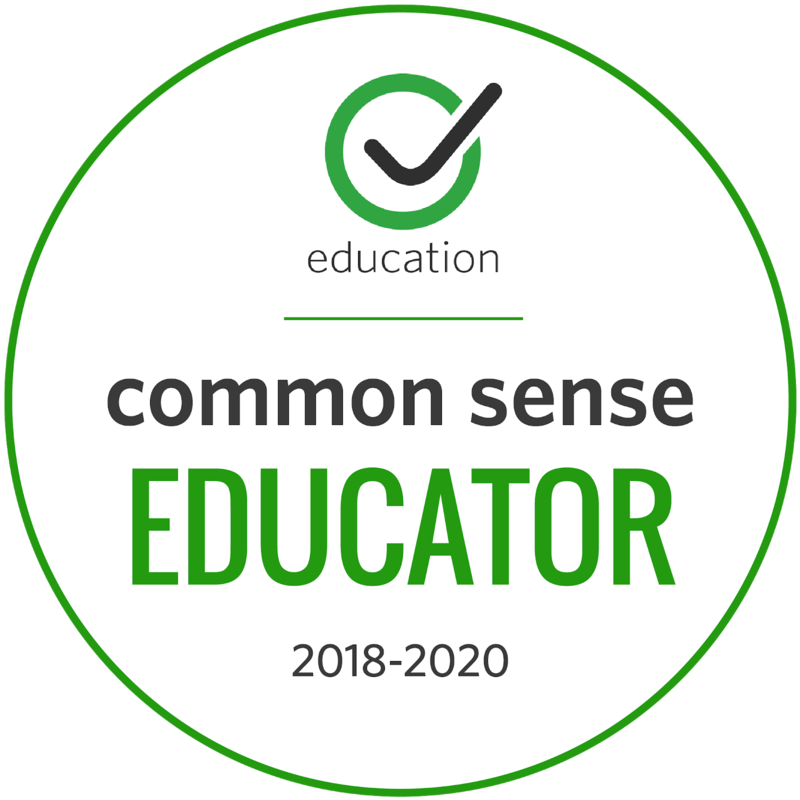 What I need to consider is how the teacher can add some extra parts about the objective of the learning and also some feedback for the student without it causing too much of a hassle. The next step is to consider the data flow and how to make it easy and intuitive. So glad to be back in this Tech Coach position. Today I'm also getting questions from other grade levels. It's paid off for me to be physically located just outside the classrooms. I expect that I will keep this model and just become the roving Tech Coach. I just wish that my bag of stuff wasn't so heavy! !